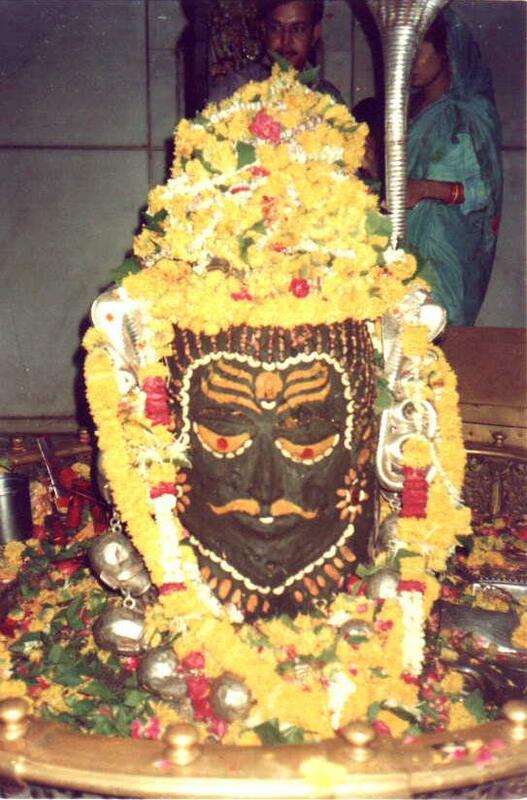 The legend of Lubdhaka is deeply related to Mahashivaratri and explains the popular custom of all-night worship of Lord Shiva on the festival. 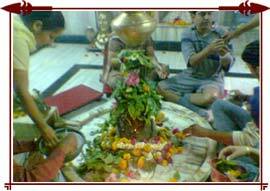 As a tradition devotees recite the legend of Lubdhaka while they observe fast in worship of Lord Shiva on Mahashivaratri. And, it is only after observing an all night fast that devotees eat the prasad offered to Shiva. There is yet another version of this legend, which is popular as the legend of King Chitrabhanu. This legend has been narrated by Bhishma in Shanti Parva of the Mahabharata and has been discussed later in this article. Story goes that Lubdhaka – a poor tribal man and a devout worshipper of Lord Shiva once went into the deep forests to collect firewood. 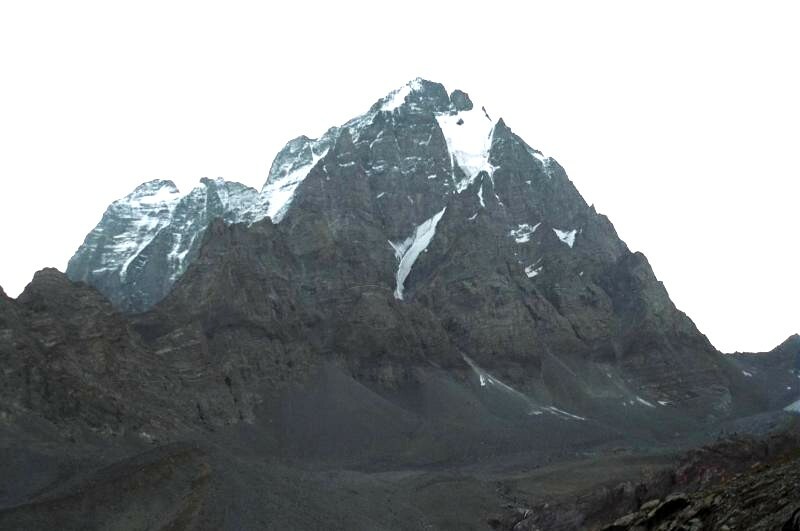 As the darkness engulfed the jungle, Lubdhaka lost his way and could not find his way home. He became extremely terrified as deep growls of animals began to fill the jungle. Seeking protection till daybreak, Lubdhaka climbed the nearest bel tree and sought safety and shelter in its branches. Since Lubdhaka was perched on the branch of a tree he was afraid that if he dozed he might fall off from the tree. To keep himself awake all night, Lubdhaka decided to pluck one leaf from the bheel tree and drop it while chanting the name of Shiva. By sunrise, the devout tribal realized that he had dropped thousands of leaves on to a Shiva Lingam, which he had not seen in the darkness. 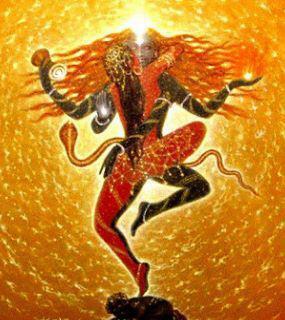 Lubdhaka’s all night worship pleased Lord Shiva and by his divine grace tigers and other wild animals went away. Thus, Lubdhaka not only survived but was also rewarded with divine bliss. According to Puranas, ever since that day, the story of the tribal Lubdhaka has been recited every year on the night of Mahashivaratri. This popular legend also form the basis of the popular custom of offering bhel (Aegle marmelos) leaves to Lord Shiva on Shivaratri. 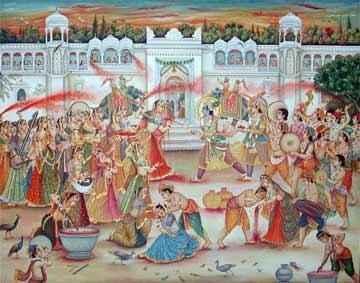 Shanti Parva of the Mahabharata, talks about the legend of King Chitrabhanu observing the festival. The story, as told by Bhishma while resting on the bed of arrows and discoursing on Dharma, says that once King Chitrabhanu of the Ikshvaku dynasty who ruled over the whole of Jambudvipa was observing a fast with his wife, it being the day of Maha Shivaratri. The sage Ashtavakra came on a visit to the court of the king and inquired the king about reasons for keeping a fast. Answering the sage’s query, King Chitrabhanu who had the gift of remembering the incidents from his previous birth said that in the past birth he was a hunter in Varanasi and his name was Suswara. His livelihood was to kill and sell birds and animals. One day while he was roaming through the woods in search of animals, he was overtaken by the darkness of the night. To seek shelter from wild animals, Suswarna seeked shelter in the branches of nearest tree, which happened to a bael. Suswarna has also shot a deer that day but had no time to take it to home. So he bundled it up and tied it to a branch on the tree. Hunger and thirst tormented Suswarna and kept him awake all night. Feeling sad that his poor wife and children were starving and must be anxiously waiting for his return, Suswarna began to shed profuse tears. To pass away time, Suswarna engaged himself in plucking bael leaves and dropping them down onto the ground. Having passed the night thus, next morning, Suswarna sold the deer and bought some food for himself and his family. But, the moment he was about to break his fast, a stranger came to him begging for food. Humbly, Suswarna served food to stranger first and then had his own. 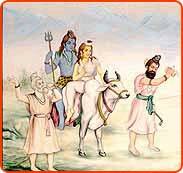 Later, at the time of his death, Suswarna saw two messengers of Lord Shiva who were sent down to conduct his soul to the abode of Lord Shiva. 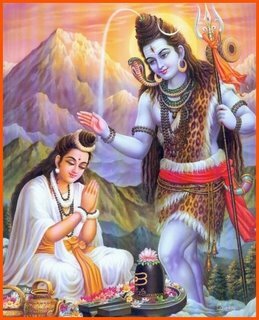 It was then that Suswarna learnt for the great merit he had earned by the unconscious worship of Lord Shiva during the night of Shivaratri. The divine messengers told Suswarna that there was a Lingam at the bottom of the tree on which he spent the night. 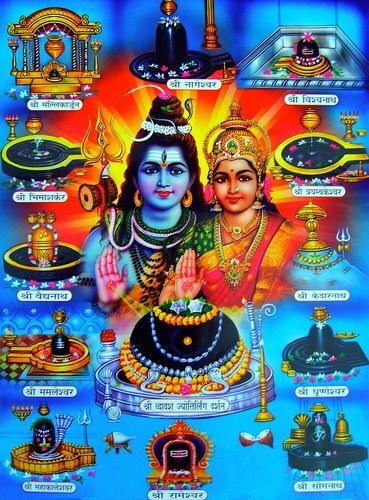 The leaves he dropped therefore fell on the Lingam. While his tears, which he had shed out of sorrow for his family, fell on the lingam and washed it. Besides, he had observed a fast all day and all night. 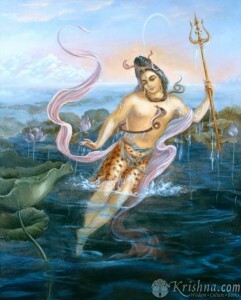 Thus, Suswarna had unconsciously worshiped the Lord Shiva. 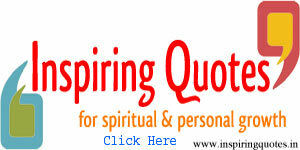 Concluding the story, the King said that he lived in the abode of the Lord and enjoyed divine bliss for long ages. Now, he has reborn as Chitrabhanu.